Alesund While visiting Alesund do visit The Atlantic Sea Park (Atlanterhavsparken) at Tueneset is the biggest salt water aquarium in Northern Europe and is built into its stunning environment in the Tueneset conservation area. It offers a range of activities, including diving. After visiting, you can enjoy Tueneset itself which is a nice green area with walkways and a fascinating seemingly endless view of the Atlantic ocean. 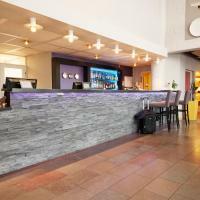 This hotel is located in Ålesund, 200 metres from the bus station and the Hurtigruten Ferry Terminal. Free leisure facilities include a sauna and an indoor pool. Outstanding value for money on upcoming dates. Overlooking Ålesund Harbour, this hotel is within 10 minutes’ walk of the main street, Kongens Gate. 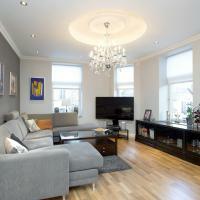 It provides free Wi-Fi, gym and sauna access and a popular breakfast buffet. Offering free WiFi, Norhostel Apartment features self-catering accommodation in Ålesund. The property is 4 km from Ålesund Aquarium. Heart of Aalesund is an apartment situated in Ålesund, 300 metres from Hurtigruten Terminal Ålesund. The apartment is 4 km from Ålesund Aquarium. Free WiFi is provided throughout the property. 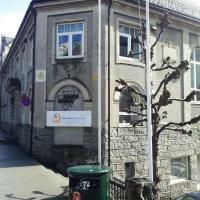 This hostel is within 5 minutes’ walk of Ålesund’s main street, Kongens Gate, and the ferry terminal. Free WiFi and a shared kitchen are available for all guests. Sightseeing in Alesund. Citytour Alesund. This train ride is a journey that will take you through the beautiful streets of Alesund. As we journey through the city we will highlight both historical and arcitectural sites. For many the highlight of the journey is the ascent and overlook from Fjellstua, where we can take in the magnificent nature surrounding the town. Alesund is a town and municipality in More og Romsdal county, Norway. It is part of the traditional district of Sunnmore, and the center of the Region. It is a sea port, and is noted for its unique concentration of Art Nouveau architecture. The most important places to visit in Alesund are: Alesund’s Art Nouveau architecture, The bird island of Runde, Atlanterhavsparken (Alesund Aquarium), The Ivar Aasen Centre, Godøy Island and Alnes Lighthouse, Guided walks in Alesund and many more. This video offers a lot of tips to help you plan the perfect vacation. If you want to save time and money, the most important travel tip is to compare prices before booking a hotel room or a flight. Take A Break Holidays takeabreakholidays, Alesund Accommodation.